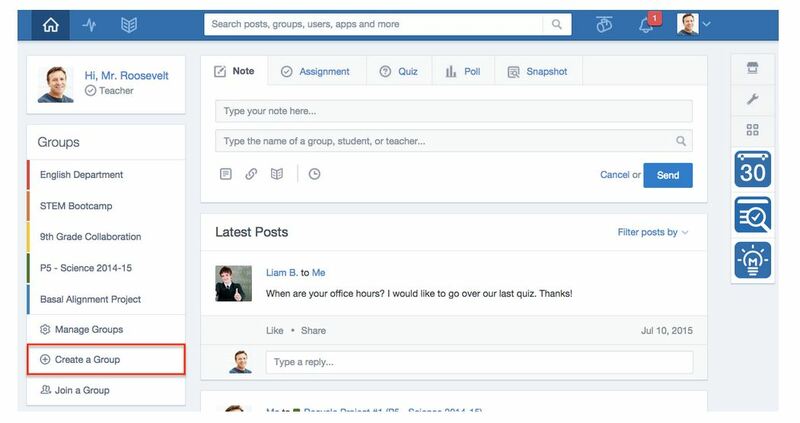 Edmodo is a learning platform where teachers and students can connect, collaborate, assess, inquire and carry on a 21st Century classroom without actually "being" within physical proximity. Edmodo is a safe environment for students to interact with one another because the teacher is the moderator and facilitator of all material posted on the site. Edmodo allows teachers to post videos, pictures, webpages, links, and embed multimedia content. 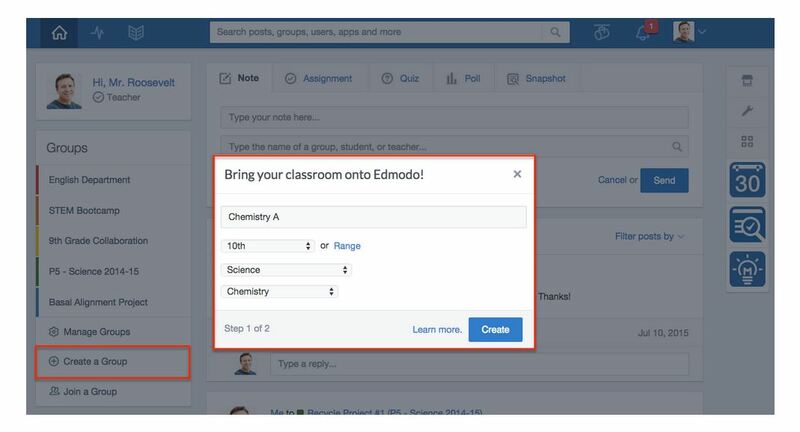 Classrooms can be created and divided into small groups for online collaboration, and Edmodo has a built in assessment tool where polls and quizzes can be created, scored, and posted in the online gradebook. You’ll need the 6 digit Edmodo-generated School Code from the administrator at your school. Ask Missy Hinerman to retrieve the group code. Go to your unique district URL, something like https://bmsbraves.edmodo.com, and log in to your Edmodo account. As an Edmodo Best Practice, we recommend that you and your students login through your district unique url each and every time you access Edmodo. This gives administrators the ability to assist with resetting passwords and finding forgotten usernames and helps you control exactly which groups your students can access (while logged into the district network, students can only see groups whose teachers are members of your district). Select the "Create a Group" button towards the bottom of the Groups list. Enter the information and click "Create". If your Group spans multiple grade levels, click "Range" and then set the range of grade levels. 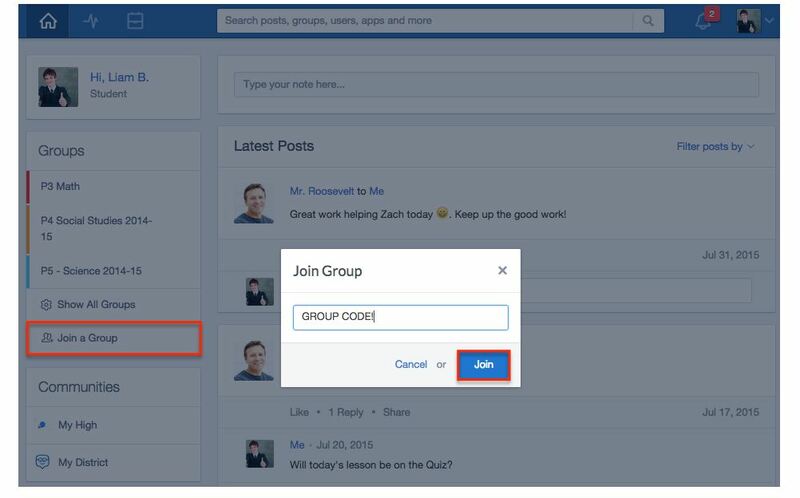 Then invite students or other teachers to join the Group! Locate the 6-digit Group code and give it to your students for them to join your Group. Note: You cannot have two Groups with the same name. It is a good idea to enter unique identifiers in your Group name (eg Language Arts 2015-2016) if you plan to use similar Group names over time. How Does A Student or A Teacher Join A Group? 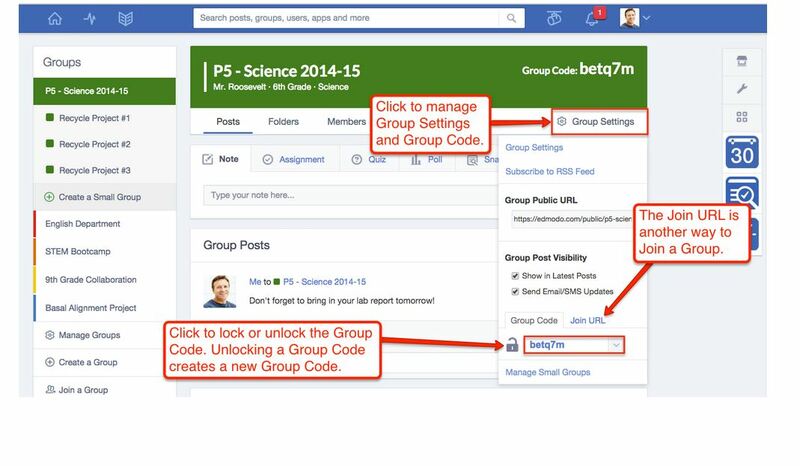 Log in, and click "Join a Group" on the bottom of the Groups list, on the left of your Edmodo home page. Enter the Group Code and click "Join". You must get this from the Teacher who owns the Group or a co-teacher. If the Group Code is unlocked, then you'll be added right to the Group! If it's locked, then you'll be added to an approval queue. Click the "Send Join Request" button. You'll be placed in an approval queue for the Group, and the group owner or a co-teacher can approve your join request. Then you'll be in the Group! Signing up as a Student? Students join a Group when they create an account. Just go to www.edmodo.com, and go through the steps to sign up as a Student. As part of signing up, you will enter the Group Code, and when you're done signing up, you'll be in the Group! In an approval queue? Don't worry, that just means the owner of the Group must approve your group join request. This occurs when the Group is locked, or when using a Join URL. There's So Much You Can Do! For more information, check out the tutorials found at the link below or fill out the contact form to request some technology integration!